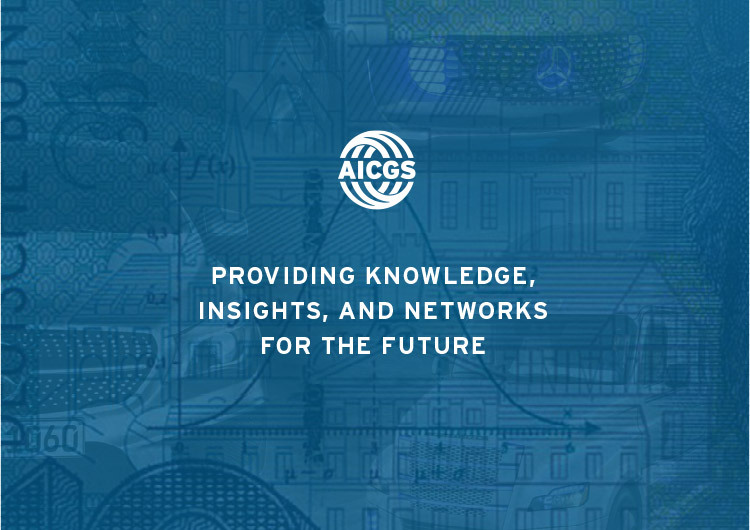 The American Institute for Contemporary German Studies (AICGS) is a DC based think tank, affiliated with Johns Hopkins University, which examines policies and issues facing both countries. 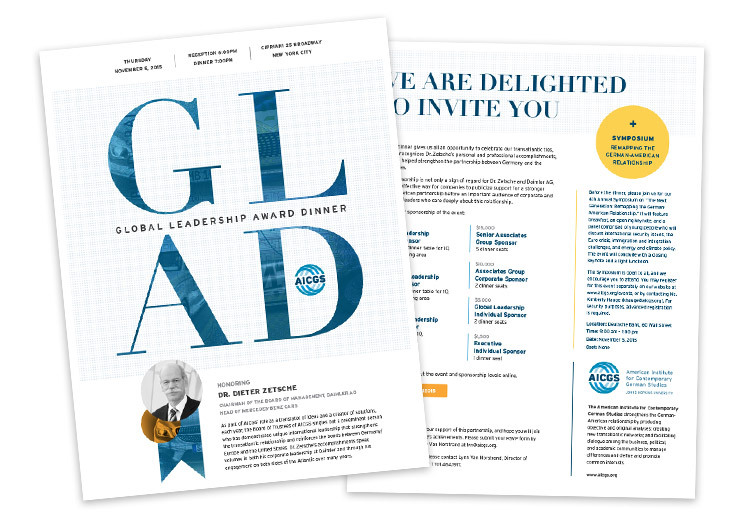 Each year, AICGS hosts a black-tie event in downtown New York City – the Global Leadership Award Dinner (GLAD). 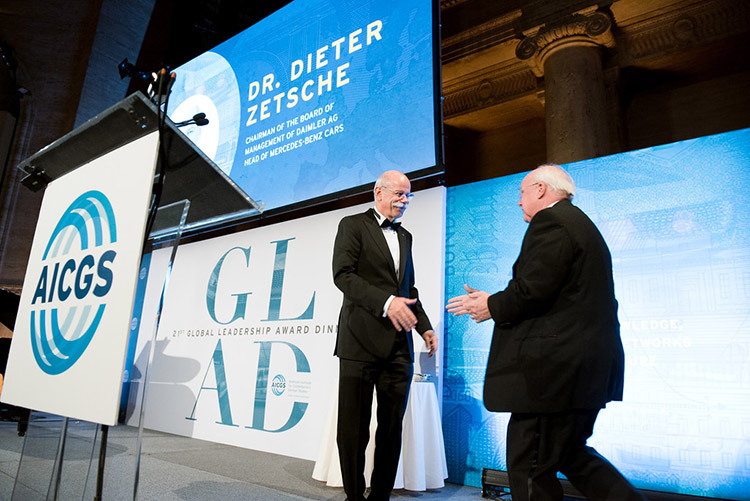 During the event, the Global Leadership Award is presented to a business leader who has helped to strengthen the German-American relationship. A new theme concept is created each year, based on the awardee and their industry. 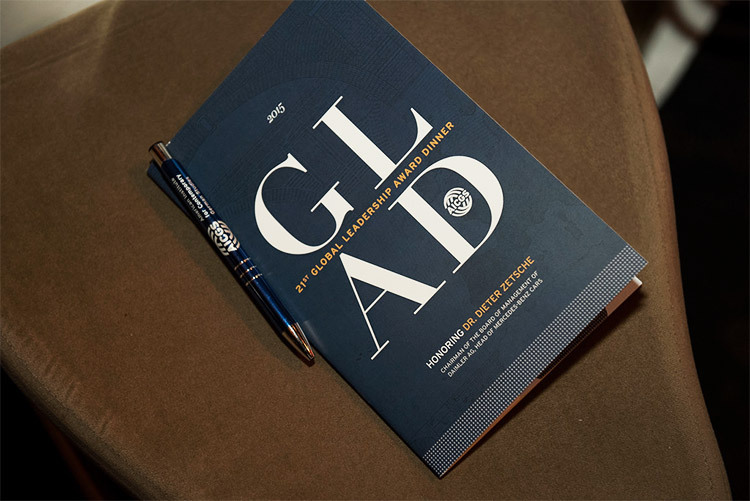 All print and web materials take direction from the theme to create an integrated brand experience. 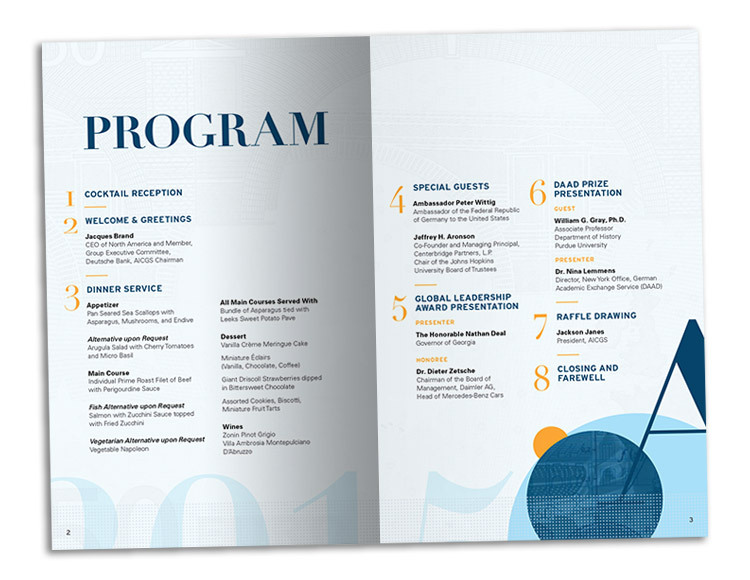 Materials include print and email invitations, large display banners, a program booklet, and an event slideshow. I have led the branding for this event for the past several years, as part of the team at openbox9.